12 inch long “Cut-to-Length” Compression Springs allow the user to cut the springs to the desired length and still be able to make use of the remainder of the part for other applications. 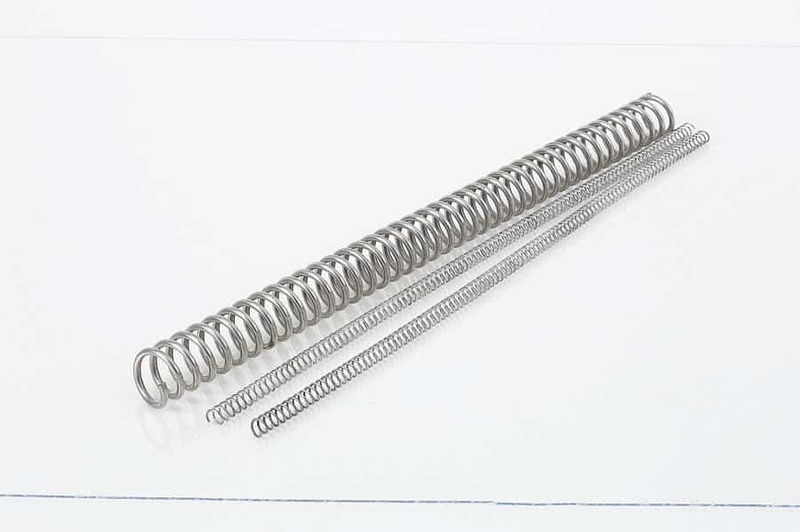 Cut-to-Length Compression Springs are available in a variety of Outside Diameters and Wire Diameters, making it easy for someone unfamiliar with spring design to quickly and inexpensively come up with a prototype solution. Spring Rate (in lbs./inch) is determined by dividing the Spring Constant by the total number of coils used once the spring has been cut to desired length.